"The public don't know what they want until you show them." Brazilian director José Padilha's debut into mainstream cinema was a suicide gambit. Like Officer Alex Murphy in the original action classic, he stood in a den of thieves / territorial fans, ones ready to shoot his efforts to pieces should he come off as a lone officer wondering blindly into a situation well over his head. Few fans looked to thank him for helping to get RoboCop back to the big screen after being stuck in development hell for years, or for his countless battles with the studio to get the reboot an 'R' rating instead of the studio imposed 'PG-13'. Now having seen his finished product, saying 'Thank you' is the least I can do. 'Reboot', 'remake', 'relaunch' are all words that describe what this film is, but also everything that it isn't. Where the 80's original showed us a vision of the far future, 2014's RoboCop seems set in tomorrow, just a few hours away. Capitalising on current global scenarios, it exploits the sole weaknesses of its predecessor; the lack of public opposition to OCP's 'RoboCop' plan and the shallow depth of both Murphy's transformation and his home life. This time around Murphy's wife Clara (Abbie Cornish) and son David (John Paul Ruttan) are more than just ghosts of days gone by, and not in a Disney 'I'm going to fall into a diabetic coma' kind of way, but one that actually advances the film. David has to cope with the media spotlight of being 'the son of RoboCop', while Clara becomes OCP's main non-political antagonist, angered over promises her husband would be returned to them, but instead been refused access to a man who now shoots criminals point blank in front of their child. Her public opposition in the argument over whether 'RoboCop' is adding to mankind or detracting from it, is stand-out performer Samuel L. Jackson. As wild-eyed right-wing TV host, Pat Novak, he is relentless in backing OCP as it petitions the Pentagon to enforce a 'Safer America', starting with the corrupt and crime-plagued Detroit. While many tweaks are small, like Robo using a motorbike over a clunky car, this clash of ethics is where the juice comes from that makes even the unchanged seem fresh. OCP as an arms manufacturer that pads headlines by running a robotic prosthetics division, holds no qualms about the fact its weapons deployed in other countries fail to draw a line between armed men, women or children. This inability to consider their targets has blocked OCP robot forces from being allowed to deploy into it's greatest potential market; America. That is until OmniCorp head honcho Raymond Sellars (Michael Keaton) heads the idea to combine their weapons, the prosthetic tech of well-meaning biomechanics visionary Dr. Dennett Norton (Gary Oldman), and the recently available remains of car-bomb victim Officer Alex Murphy (Joel Kinnaman), and create a new era in law-enforcement; RoboCop. Where the original film hopped, skipped and jumped through Alex's transformation, this film treads a bit more ground. Questioning how much can be removed before we are no longer human, the stripped-down Alex will stun you. Fully-assembled, Dr Norton's hopes his life's work in restoring Murphy's life has succeeded. Only as his employers profit-based objectives become clearer, he has to reason with his own conscience and mounting public opposition to remove more of 'Alex' in order to see OCP's needs fulfilled. Taking to the streets with one-liners and the same pull-no-punches attitude the character is infamous for, RoboCop balances out the issues of the film with plenty of straight out action. While the delivery of "Dead or alive you're coming with me" is a little soft, OCP's best mercenary man Mattox (Jackie Earl Haley aka Watchmen's Rorschach) uttering "I'll buy that for a dollar" is a nice touch. In saying that, I admit, my biggest smile as a fan came from finding the 80's RoboCop soundtrack was untouched and fully implemented through-out. Those synthesised notes add so much to the mechanical heart of the film, much more than just nostalgia, it is good to know they weren't 'remastered' into anything else. 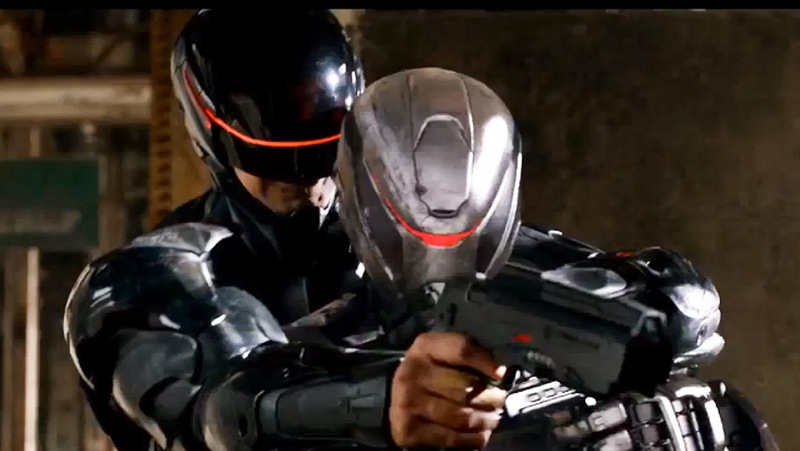 If the new RoboCop has any flaw, it's in that it doesn't drive itself dark enough. It either needed to inject more of the oddball humour found in aspects such as the original's TV commercials or become darker to warrant dropping the ha-ha-ha back like it has (as I suspect Padilha was hoping to do). 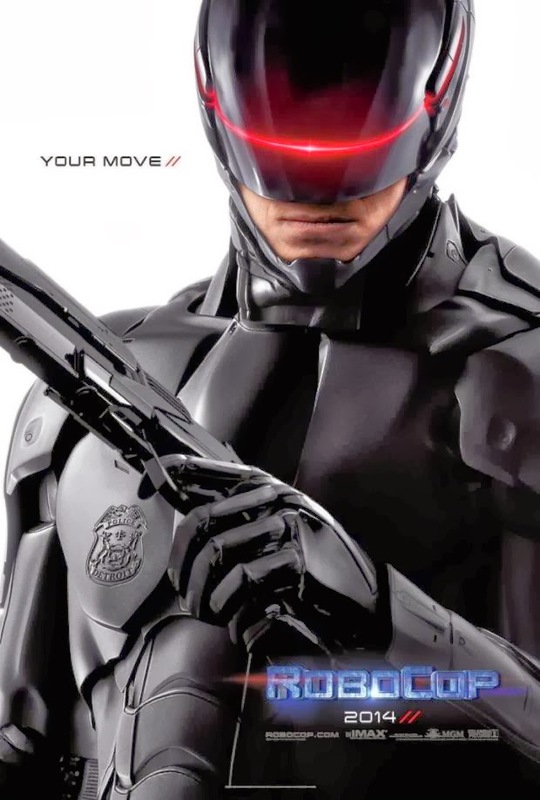 Finely polished and brilliantly acted all round - even if you're not a fan of RoboCop's 'Cyclops cadillac' look, seeing this film should be prime directive #1.
well here's the thing about both Robocops, i don't think the strengths in the new one automatically denotes weaknesses in the original. the exception probably being the special effects in regards to ED 209. i'm surprised they haven't over the years redone ED 209 digitally and added that in like they did with the original Star Wars trilogy. but as a good example in the original we never got to meet the scientist responsible for the cybernetic technology that created Robocop. i certainly never saw that as a weakness in the original film but by the same token i really like that they had that sort of character in the new one. i have no problem enjoing both films. Neither do I Dave - both versions are great films. They did show us the inventor in the original, except there he was a team leader of a group project, where here the tech is put down to the skills of one man. What made this different was Norton didn't see his creation as a weapon entirely, where in the original it is never thought of as anything but. And that's my whole point. Instead of relaying the whole film over and over, exactly as it was, they created new perspectives that made the roles seem as fresh as in the original. Having people question the humanitarian ethics of RoboCop is something that wasnt in the original that helps this bird sing. To me the original does have holes like the above that the original covers and the original covers the holes of this one (violence and humour as stated at the end of the review). I never stated either was better than the other on purpose because as much as one is a remake it twists itself enough to provide a seperate story fresh in perspective and character. The origin is an icon I thave watched a bazillion times and will watch a bizillion more. Nothing in the above is taking away that. Just now I have a new RoboCop good enough to watch inbetween screenings of the old. i don't know if you're talking about the Bob Morton character from the first one but i'm pretty sure he wasn't the scientific end of Robocop's creation. Bob Morton who was the lead executive of the Security Concepts division of OCP was the sort of corporate yuppie type who comes up with the ideas but ultimately relays on actual scientists to carry out the process. the original didn't deal with the issue of police corruption like this new one did either. in that one the police dept. was put in a completely sympathetic light as victims of street crime and corporate greed. i'm glad to see unlike Dredd we agree with this one although i suspect we may be in the minority judging from the reactions i've seen in the last week. Yeah Morton was the team leader like I said. I don't thing Norton built it either they both concieved it. Good point bout police corruption too!